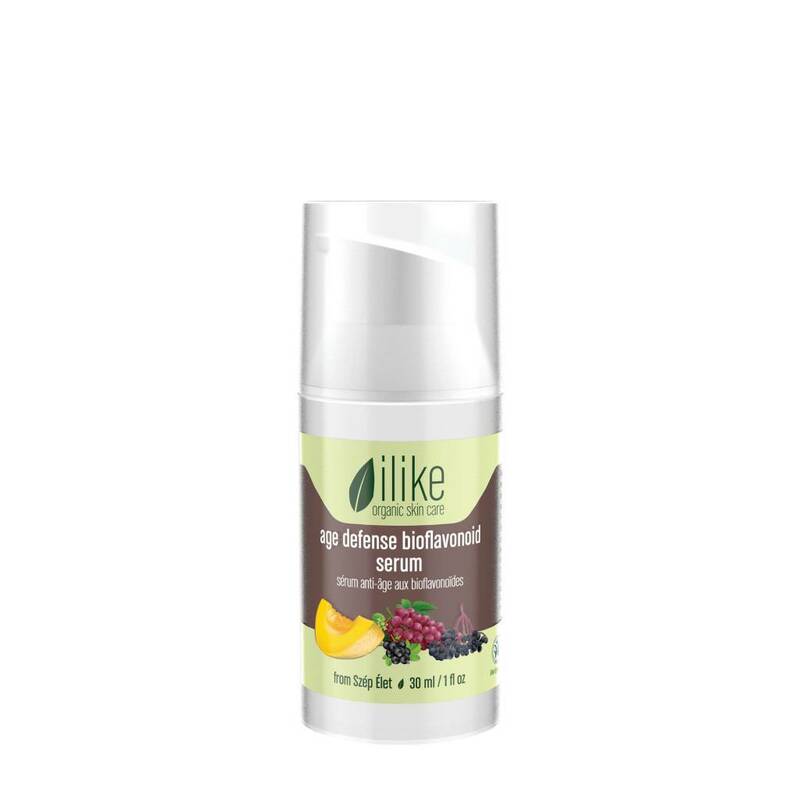 The Age Defense Bioflavonoid Serum from ilike organic skin care helps protect against the abuse of the elements. The Age Defense Bioflavonoid Serum from ilike organic skin care helps protect against the abuse of the elements. Due to their high antioxidant content, whole certified organic pulps of Black Currant, Elder Berry, Cantaloupe, Red Grape and other herbs from the ancient, nutrient rich soils of Hungary are beneficial for for all skin types. It is especially recommended for stressed, tired skin, and for skin prone to environmental pollution. Apply a thin layer of serum after cleansing and toning, or exfoliation and mask during the hydration steps of your skin care regimen. Apply your ilike moisturizer after letting serum penetrate for 30-60 seconds. Use twice a day on entire face, neck and décolleté.